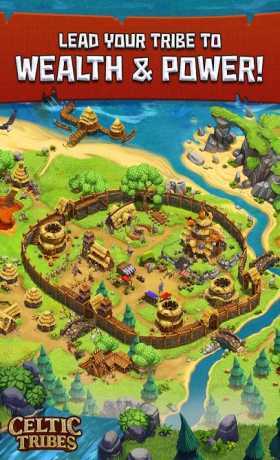 Peaceful settlers as well as the battle hungry conquerors will have lots of fun in this epic MMO. You decide whether you expand your realm peacefully or using your military expertise in glorious battles! You start off with a small Celtic village in the green lands of Gaul. But do not get fooled – the beautiful land is anything but peaceful and the war is coming. The other tribes already have their eyes on your village. Some are looking for a new conquest, some search for a new trading partner and others simply want to welcome you in their tribe. 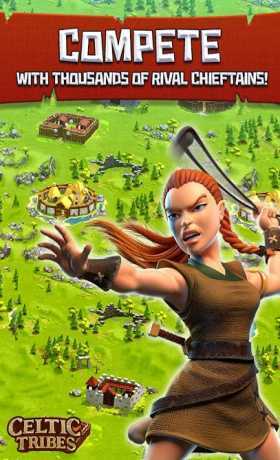 Your Celtic village can only survive if you raise an army and get ready for battle. War is known as an alternative means of diplomacy and you are not the only chief aiming to establish an empire. It is only by working together with your tribe, can you ensure the success of your conquests and win the war for the throne. Magic runes support your army in battle. Your druids do not only reside in your village. They can also use the power of ancient magic to help you. Your tribe can rule the world! Unite your armies and let all of Gaul tremble. No battle is too great, no conquest is impossible. Work together and every empire will contribute to creating your realm. Create a throne and rule over the world in the ancient age of the Celts. You will need the support of your tribe, a powerful army and fierce determination of a true leader. The support of your druids and their magic will not hurt either. 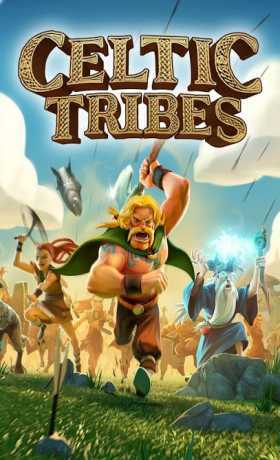 Download the app for free now and experience exciting adventures in the ancient age in Celtic Tribes – the captivating strategy MMOG.